Arsenal to sign Charlton star Joe Gomez Premier League outfit Arsenal are planning to sign Charlton highly rated youngster Joe Gomez, according to Mirror. 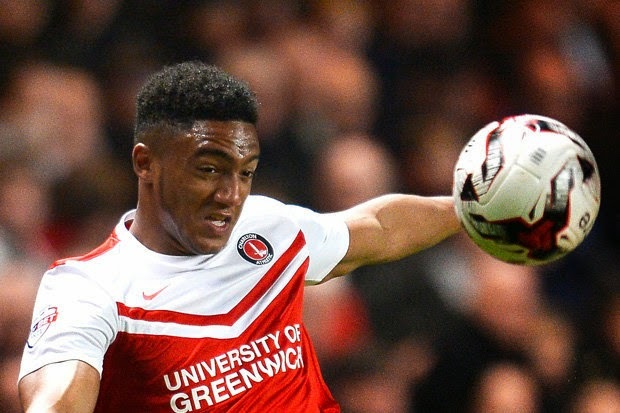 Premier League outfit Arsenal are planning to sign Charlton highly rated youngster Joe Gomez, according to several reports. The Daily Mirror reported that the Gunners are leading the race to sign the Joe Gomez who has also been eyed by numerous Premier League outfits. The 17-year-old defender has displayed impressive performances for the Championship side this season, he has attracted many top sides including defending Premier League champions Manchester City. The Metro reported that Man City manager Manuel Pellegrini is targeting the teenager strongly but the north London side is leading the race. Arsenal boss Arsene Wenger is eyeing a €12million deal for him in the summer window. The young Englishman who can play either at right-back or centre-back has made 20 appearance for Charlton so far this term in all competitions. Gomes is a part of England junior level, he has played for under 16, under 17 and currently a part of under 19. He has been tipped to be a next star if he joins Arsenal just like Alex Oxlade-Chamberlain, Theo Walcott and Jack Wilshere who all impressed in a very young age. It will definitely be a great move for any of the side, especially for the Gunners who are good in developing young talents. Good at developing young talent but then sell them off for a profit. Benik Afobe, Tom Cruise, Carlos Vela, Nacer Barazite, Kyle Bartley, Gilles Sunu, Havard Nordtveit, Jay Simpson, Henri Lansbury, Thomas Eisfeld. The list can go on and on. And I have a feeling that Joel Campbell and Wellington Silva may be joining the same list very soon. How many from the reserves have actually made it to the first team in the last 10 years?? ?